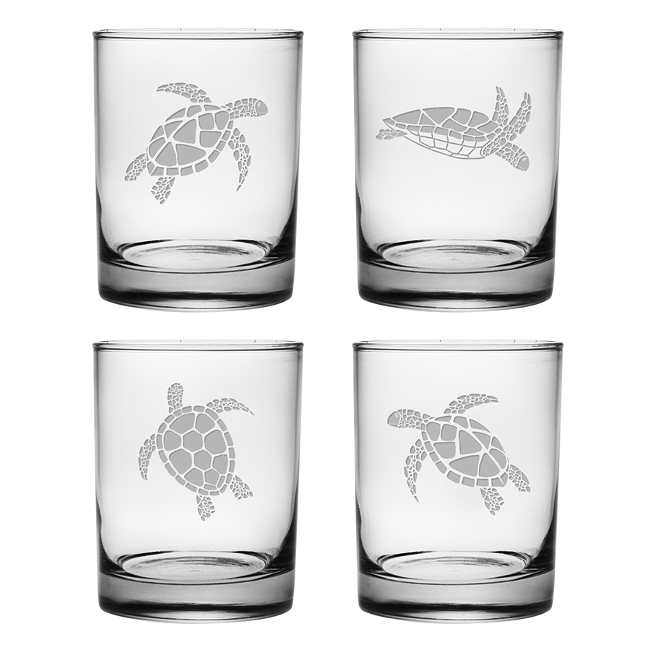 Sea Turtles On The Rock Glass Set is the perfect on the rocks glass for entertaining at your place at the beach. Impress your guests with this quality designer set of 4 assorted sea turtle drink ware. 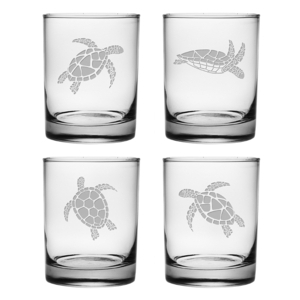 The different sea turtle designs make it easy to identify your glass at the party.